Coveted sought after cal cove street in fort myers classic waterfront community, town & river. Cal cove offers the best in riverfront sunsets & views of lagoon and nature. Dock has 3 lifts, one for larger boat (10 ton), one for small to medium boat, & a lift for a pair of jet skies. 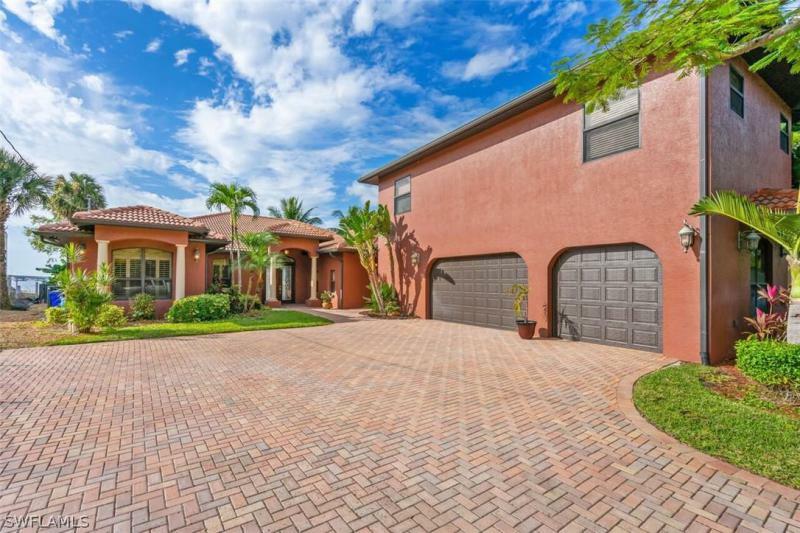 This 4 bedroom home plus den with 3 baths is over 3,000 sq. Ft. Of living area. New tile roof in 2015 & new 5 ton ac at the end of 2014. Note: tear downs are common on cal cove. 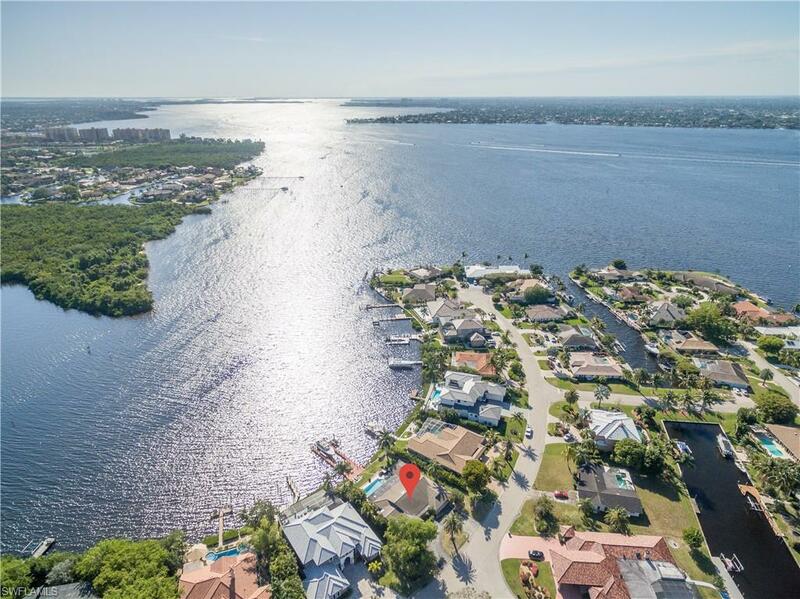 In fact, home next door was recently sold at $1,150,000 & torn down, indicating the desire to live on one of the finest & most coveted waterfront addresses in sw florida. Lakeside custom estate home offers both expansive lake & golf course views. South eastern exposure! Open floor plan concept features great room, formal dining room & breakfast nook. Surround sound & crown molding. Large comfortable owners suite, den with custom built-in cabinetry. Kitchen with stainless appliances, breakfast bar & pantry. Club room features billiards & full bar. Lanai with heated pool/spa & rock enhanced waterfall. Pebble stone pool deck. Electric hurricane shutters. Built in grill & lots of sitting area, perfect for entertaining. 3 car garage with built-in overhead storage & wall storage area. Culligan water softener, built in wall pest defense system, mana block h2o distribution system. So many outstanding quality features. Located close to beaches, shopping, great restaurants, parks, theaters, hospital & sw fl international airport. Gulf harbour's amenities include marina, championship golf, tennis, fitness, 2 waterfront restaurants & more. Memberships at an additional amount. Motivated seller,bring offers. 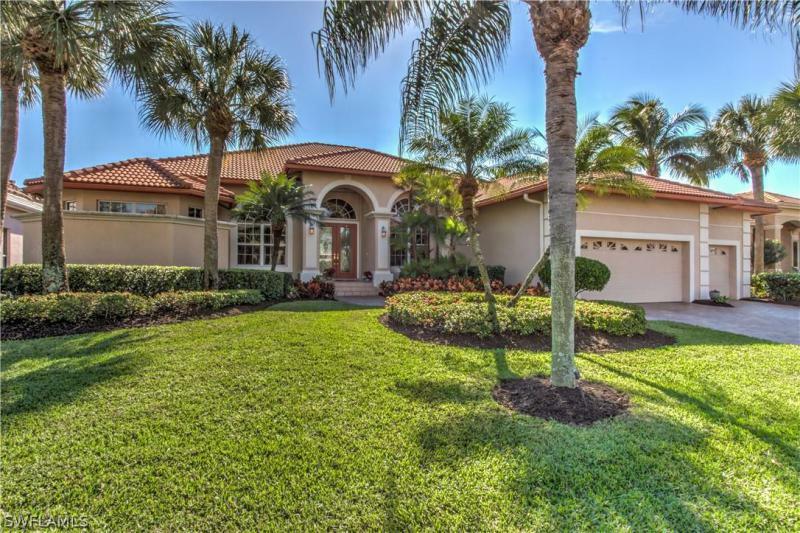 Custom estate home located in fort myers' finest gated golf community. Step into warm, contemporary elegance in this 3,940sf home with 4br, 5. 5 bath, den, 3-car garage on one level. Sold turnkey furnished. Upon entering, you are greeted by soaring coffered ceiling accents and gorgeous imported porcelain flooring throughout the main areas. Sip your morning coffee while enjoying gorgeous lake and golf course views. Freshly painted exterior and interior in a neutral palette. Gourmet kitchen boasts beautiful 42wood cabinetry, granite countertops, breakfast bar and dining nook. Master suite with separate sitting and dressing rooms, spacious custom closets and thoughtful details. Master bath with soaking tub, tiled walk-in shower,water closet, dual sinks and vanity counter. Each guest bedroom has its own ensuite bath. The 90-degree sliders in great room open completely to pool deck with patio kitchen, infinity-edge pool and spa that exemplify the true floridian lifestyle. Golf membership optional. Located in the pristinely manicured,low-density renaissance community,which features restaurants,day spa,community pool,full gym,golf shop and lighted clay tennis courts. Custom estate home, built by harbourside custom homes, offers a lovely view of the golf course and lake from its location in the exclusive edgewater neighborhood. It's turnkey furnished and ready for you to enjoy. Easy entertaining with a large bar area open to the living room, dining, and kitchen, a bar at the outdoor kitchen, and sliding glass doors that open the living and family room to the screened pool, spa, and outdoor living area. Master bedroom suite is spacious with two walk-in closets, and there are three large en-suite bedrooms to accommodate your family and guests. Home features plantation shutters, custom blinds, large storage room, wine cooler, security system, and a study with custom cabinetry. Gulf harbour offers a marina, two waterside restaurants, wellness center, private golf course, tennis, and beach. Close to shopping, dining, healthcare, and airports, as well as the gulf of mexico's world class fishing and boating. Sports and golf memberships available for a separate fee in this active community. Owner also has boat slip b-20 available for sale in the gulf harbour marina.